Current WIP~ Urban Fantasy. Editing Horror, which is horrific! 19 days until Halloween , my sweets! Lucas: "I can tell you something about this place. The boys around here call it 'The Black Lagoon' - a paradise. Only they say nobody has ever come back to prove it." The movie takes you deep inside the Amazon jungle, has you watching the ripples in the water, the trees, and wondering what is lurking in the shadows. Besides, you know, a man-fish! Lucas: "There are many strange legends in the Amazon. Even I, Lucas, have heard the legend of a man-fish." 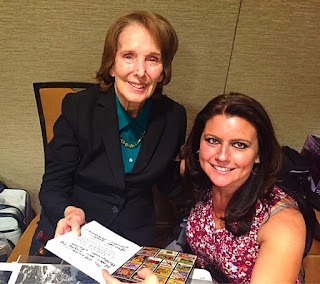 That's right- Julie Adams - Awesome! And then, there's everywhere I am.